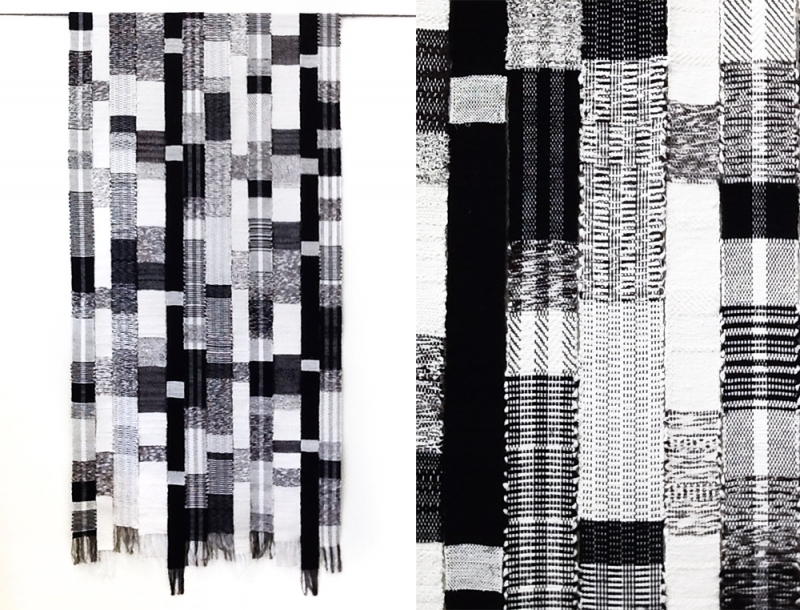 John Garrett conducts a “dialogue with material,” wrote Marcia Morse in American Craft Magazine. Garrett wants his pieces to inspire thoughts of abundance, of saving, of interior and exterior worlds, and, most of all, of the rewards of looking at things with a fresh eye. What emerges from his materials and process are these ‘curtains’ that move and sway with the breeze as if they have a life of their own. Renowned artist, John Garrett has exhibited internationally throughout the United States, Europe and Asia for over thirty years. Garrett has continually explored one dimensional and sculptural forms, allowing us to take notice of everyday materials that are often discarded or ignored. 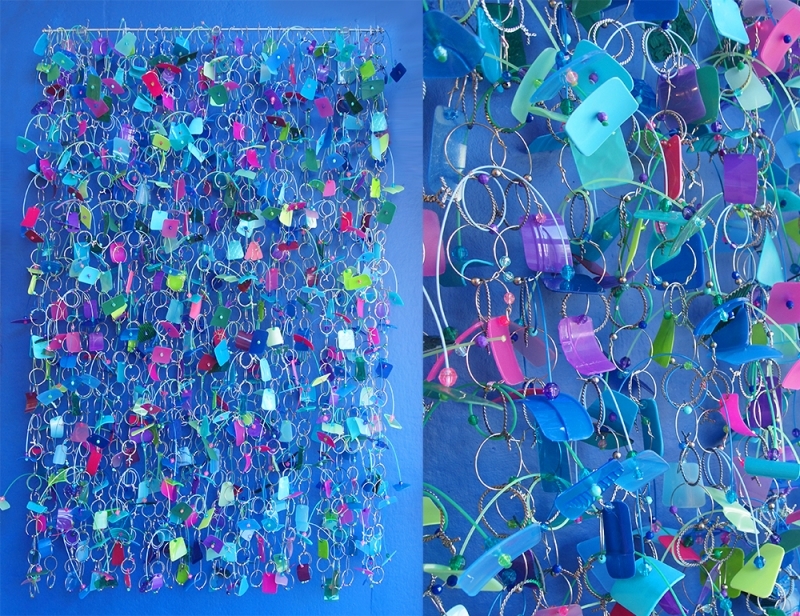 His masterfully executed techniques are evident in a multitude of materials, including pieces that are woven, tied, nailed or riveted.These everyday materials have included crushed and rusted metal, painted aluminum, aluminum tabs ,crushed cans, plastic buttons and plastic flowers. His brilliant technical skills are emulated in each work of art, masterfully crafted into a vibrant and complex structure. 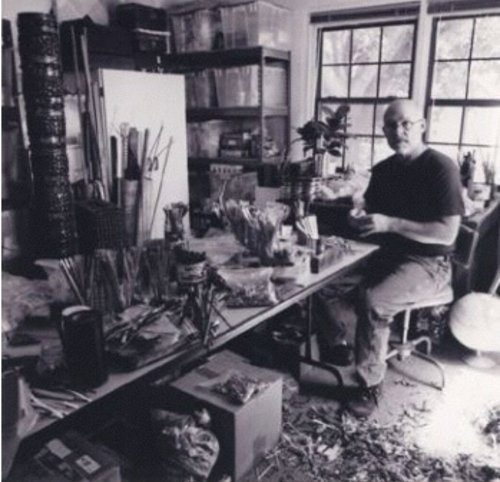 In 1983 and 1995, he was awarded National Endowment for the Arts fellowships, and in 2010 he was elected as a Fellow of the American Craft Council, in recognition of his outstanding artistic achievement and leadership in the field.